“Polite. Russian. Yours.” Anonymous image found online. 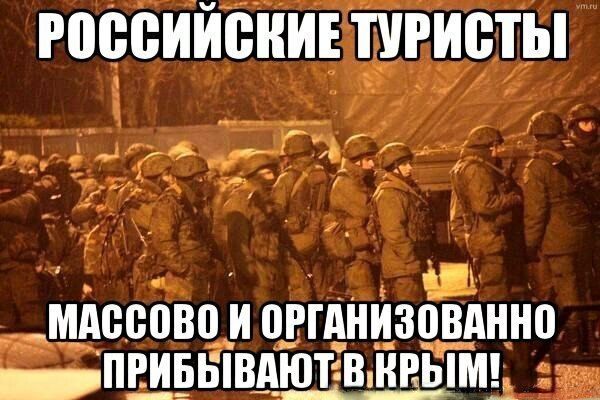 This jingoistic meme plays on the jocular way of calling anonymous troops occupying Crimea “the polite folks,” connecting the phrase to the Winter Olympics slogan, “Hot, Cool, Yours.” It's counterproductive, however, to diminish the significance of Russian troops on Ukrainian territory by emphasizing their politeness. They might be polite, but they still have guns. 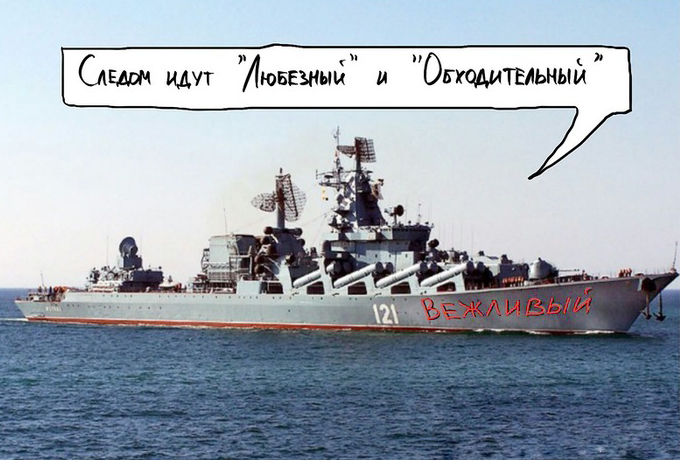 Russian destroyer “The Polite.” Word bubble reads “The Gracious and The Courteous are right behind me.” Anonymous image found online. “We are just a people's militia” Anonymous image found online. 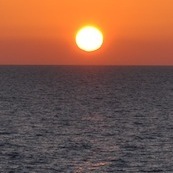 On the other side, an image such is this is also counterproductive. Sure, it's funny because it's a hyperbole poking fun at Russia's transparent claims that their troops are part of a “spontaneously-organized” Crimean militia. 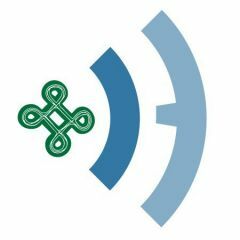 At the same time, it denies any agency to actual Crimean self-organized militia (which does exist), and escalates the discourse from machines guns to ICBMs. Leopard, Bunny, and Bear – Sochi Olympic Mascots. Anonymous image found online. 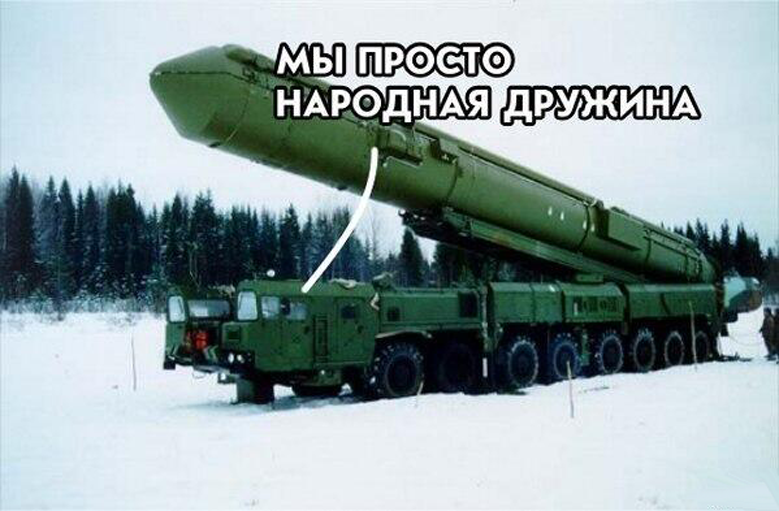 Another Sochi joke. This one is harder to classify, but can definitely be used by both sides. 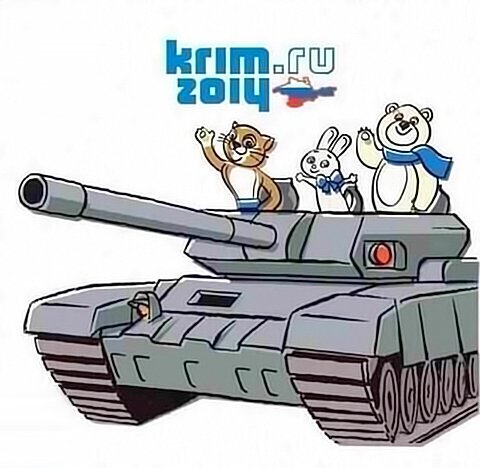 See, Russians are so bloodthirsty even their plush toys ride tanks. 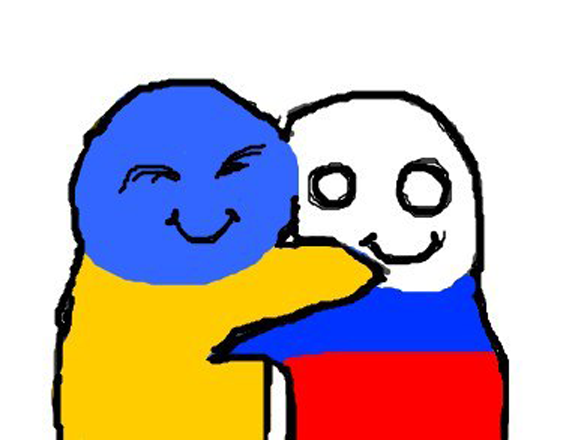 See, Ukrainians are so pathetic all we need are plush toys to take them over. 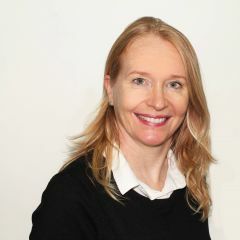 Yes, the Olympics have been tainted by politicking and aggression, next you'll tell me there is no Santa. 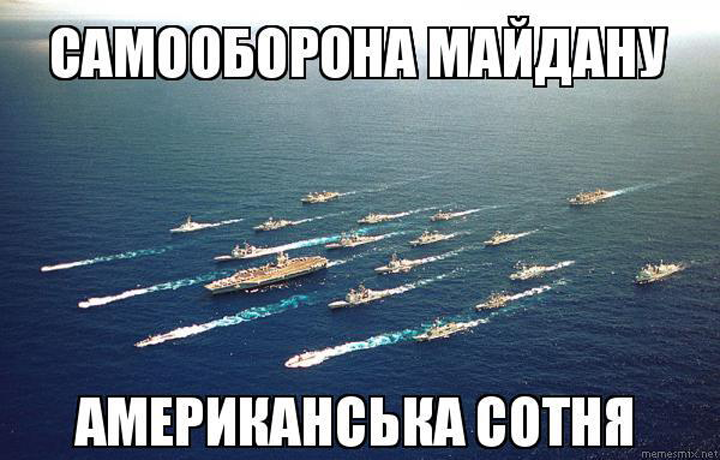 “Banderovites are attacking Crimea!” Anonymous image found online. 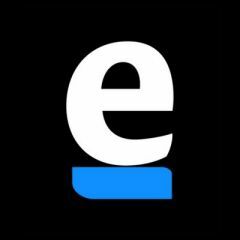 Russian TV spreads a lot of propaganda about the presence of so-called “Banderovites,” or followers of Ukrainian nationalist and alleged war criminal Stepan Bandera, among the protesters who toppled Yanukovich's government. Thing is, these radicals might make up a small percentage of the protesters, but they are vocal, they do exist, and they are hostile to Russians and Russian culture. 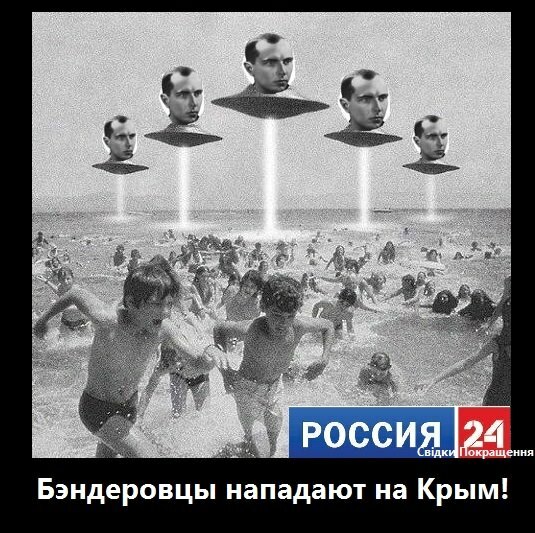 But no, Stepan Bandera's giant heads don't ride around on UFOs. That's true. 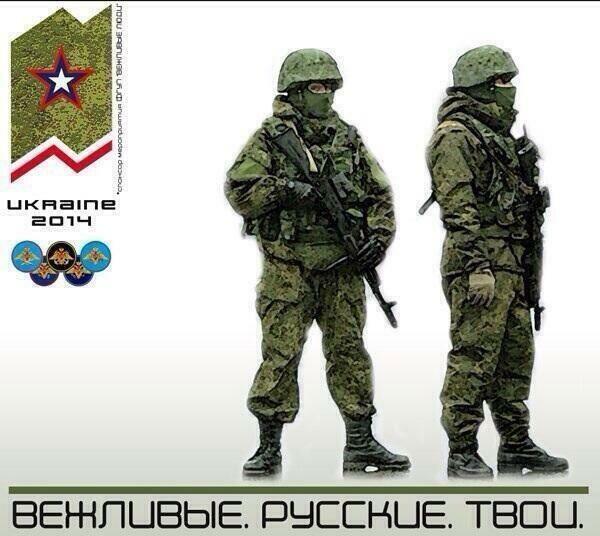 “Maidan Self-Defence Forces. 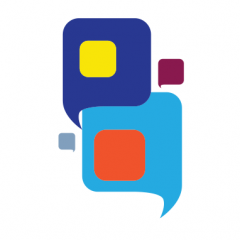 The American company.” Anonymous image found online. The hoax that an American Aircraft Carrier Group has entered the Black Sea might be the most dangerous of them all. Memes 7 and 8, which perpetuate this hoax, serve to give unfounded hopes of US military assistance to the Ukrainians, and unfounded fears of US military intervention to the Russians. 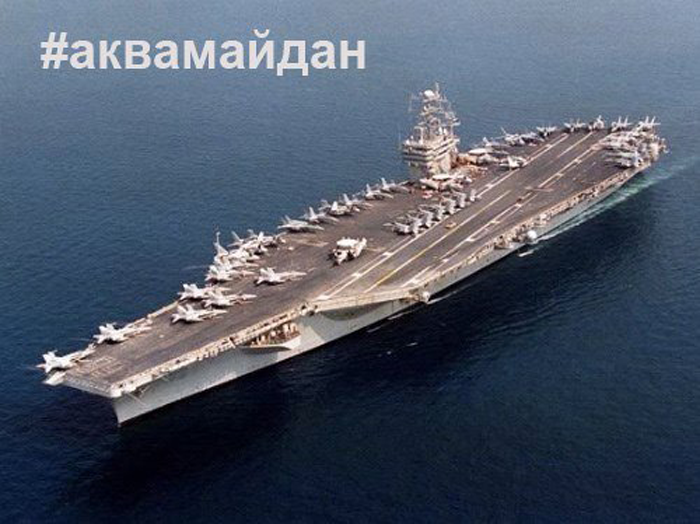 Never mind that according to international treaties, a carrier could never in fact enter the Black Sea. Furthermore, the caption is ironic, considering that some Russians are already accusing the Americans of organizing the Maidan protests. “#aquamaidan” (a play on #euromaidan). Anonymous image found online. “[Eskimo] not conqueror, [Eskimo] guard” Anonymous image found online. 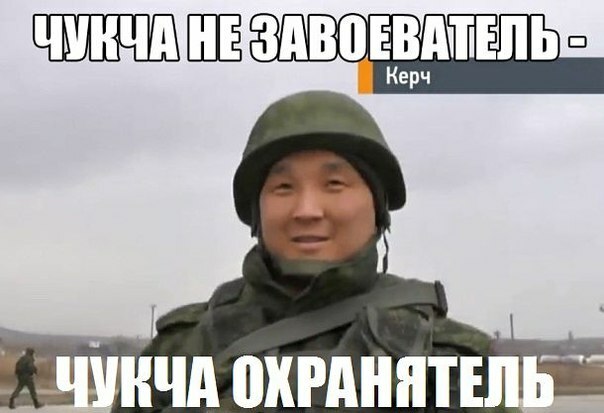 Ridiculing Russia's troops because they are multi-ethnic might not be the best idea, if you want to convince the world you aren't a xenophobic nationalist. 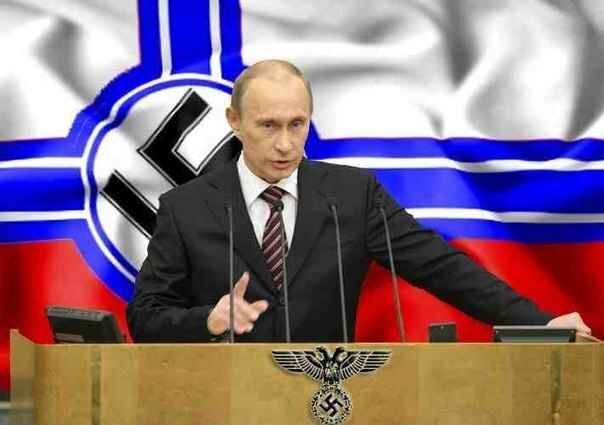 Putin is a Nazi. Clearly. Anonymous image found online. Remember that time you compared someone you disagreed with to Hitler, and they were totally convinced by your line of argument, and apologized? Me neither. 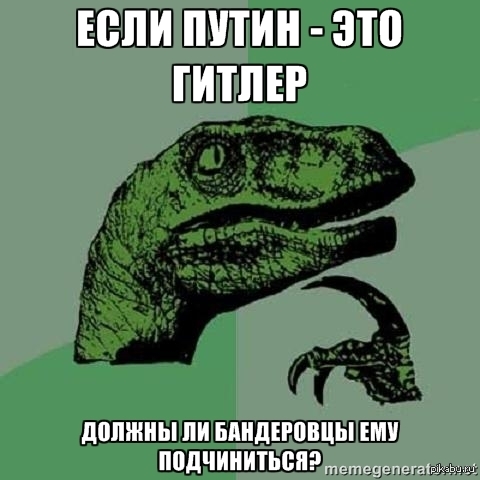 “If Putin is Hitler, then shouldn't followers of Stepan Bandera listen to him?” Anonymous image found online. And so the “polemic” continues. Obama hungry. 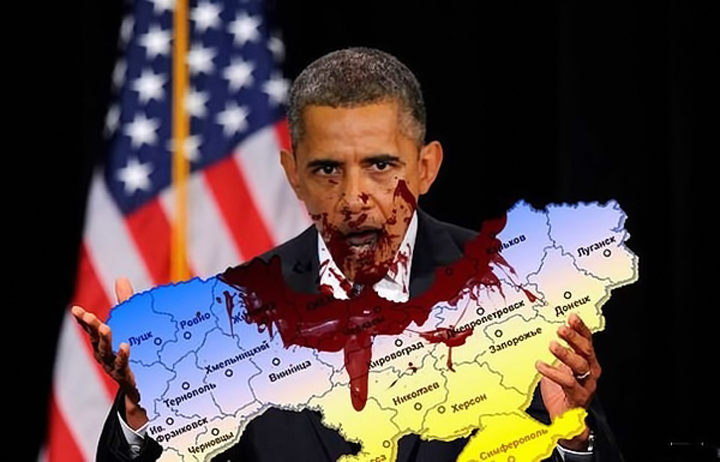 Obama eat Ukraine. Anonymous image found online. But wait, Putin isn't the only Evil Overlord (TM)! 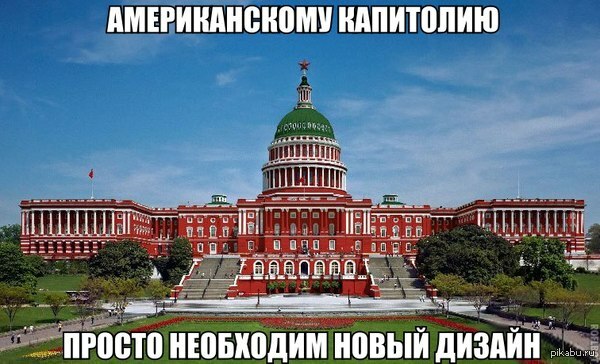 “Capitol Hill really needs a new exterior design” to make it look like the Kremlin. Anonymous image found online. And if we are going to be jingoistic, why not go all the way? 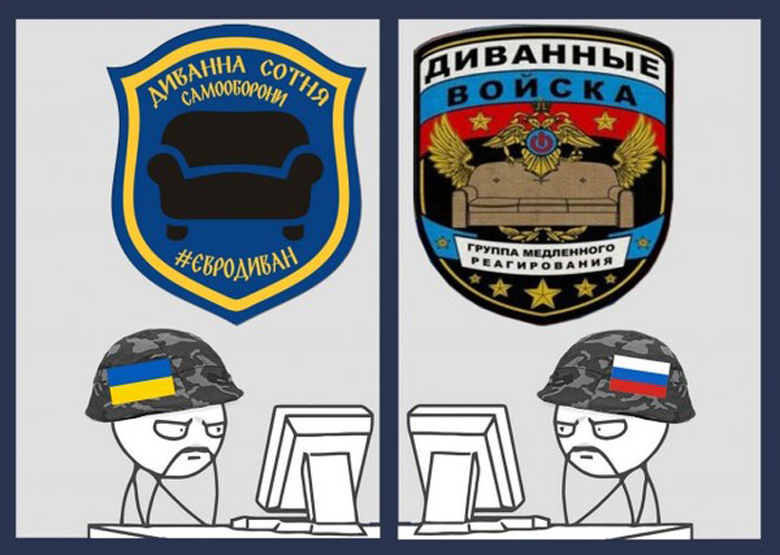 On the left, the “Sofa Self-Defense Company, #eurosofa” On the right, “Sofa forces, the Slow Response Group.” Anonymous image found online. But whatever you do, never discount cloying professions of friendship!